Alex has written a book called "Tell Me the Story". Based on ancient documents, it is a series of dramatic first person accounts of people who actually either knew Jesus or were trying to investigate him. Some were profoundly changed, some had regrets, some didn't understand what was going on at all. "...a series of stories that superbly manage to retell well known historical facts in a way that magically takes us to the lands and times in which they happened." "We feel like contemporary witnesses, participants even, seeing the truth and feeling its power." 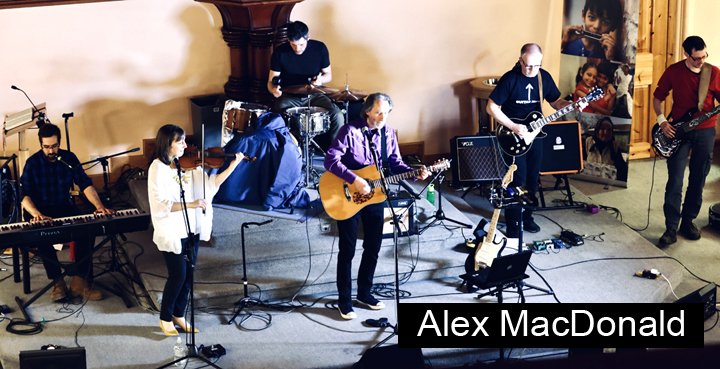 "Alex MacDonald warms our hearts with his fusion of timeless truth through vibrant imagination." "Written in a lively and original style, each chapter can be enjoyed individually or as part of a wider study of the lives of those who knew Jesus."